I admit, it took me a little while to get aboard the Bear train when the rest of The Sweet Setup clan chose it as the best note-taking app for iPhone and iPad. I tried over and over again to incorporate it into my daily use, but the shoe never fit. That changed dramatically when Things 3.4 launched with a URL-scheme. 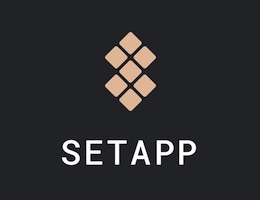 Using the URL scheme, Things could communicate with a plethora of other apps, and Bear quickly became the app where I kept all my task attachments for reference. Since then, I’ve used Bear extensively for research, thought organization, and everything in between, but there have been a few hiccups from day one that I’ve stomached ever since. The biggest of those has been the lack of a note archive — a place for all your notes to go once you’re done with them (because putting them in the trash brings a rush of finality I don’t prefer to deal with). That note archive and a wealth of other improvements have been introduced today in Bear 1.5 for iPhone, iPad, and the Mac. First off is the note archive. You can now throw your used or unwanted notes into the archive rather than into the trash bin. The trash can work fine if you never empty the trash, but a note archive is a dramatically better workflow for searching through your old thoughts, tags, and work. The archive has a few limitations, but this may work to be an advantage for some users. For one, the archive isn’t included in an app-wide search — you have to search the archive directly, on its own, for your search inquiry. Secondly, archived notes are not editable — they need to be put back into your general list of notes before you can make edits. The archive is accompanied with two new “Special Searches” that filter your notes and throw your task notes into a ToDo filtered view, notes created today in a Today filter, and all your untagged notes in an Untagged filter. Like the archive, these Special Searches will help find notes much faster than in previous versions of the app. When tags were added to Bear 1.4, the now widely-loved TagCons were also introduced. If your tag touched on any pre-defined tag keyword, the tag would be showcased with a nifty little icon in the tag list. It became somewhat of a guessing game, trying to nail down what tag keyword it would take for a TagCon to appear. 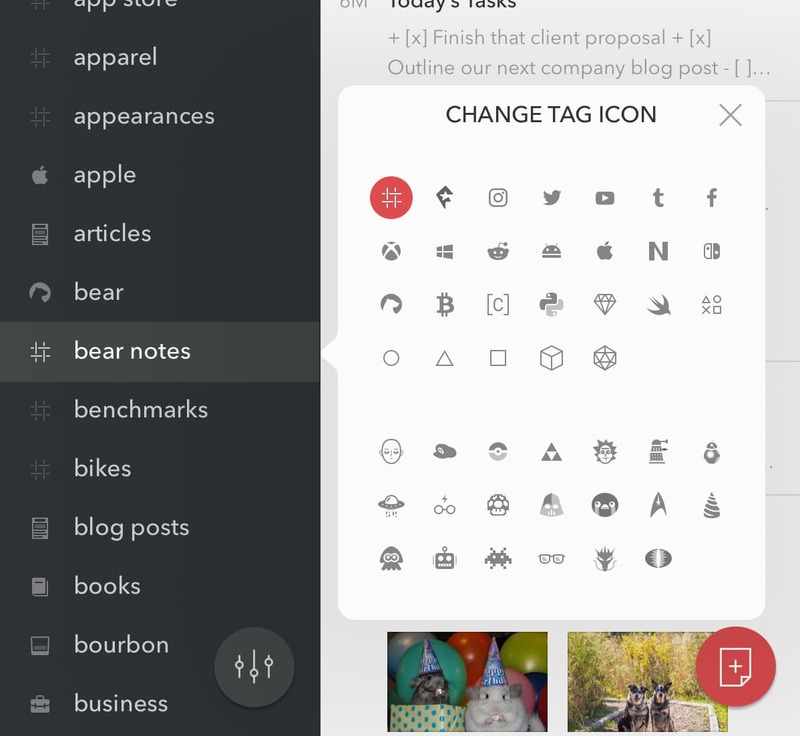 Bear 1.5 gets rid of the guessing game — you can now customize your TagCons, ensuring your un-TagConned tags will all fit alongside the rest of the tag list. The entire gamut of TagCons tops out at 169 options, but Shiny Frog says there are more TagCons coming in the future. It’s a neat little feature that will make the app feel more complete and more your own. Bear’s Dieci theme (“ten” in Italian) was designed to take advantage of the iPhone X’s OLED screen. Dieci is a true-black theme that really comes alive on the iPhone X. It looks particularly snazzy on an iPad Pro as well. 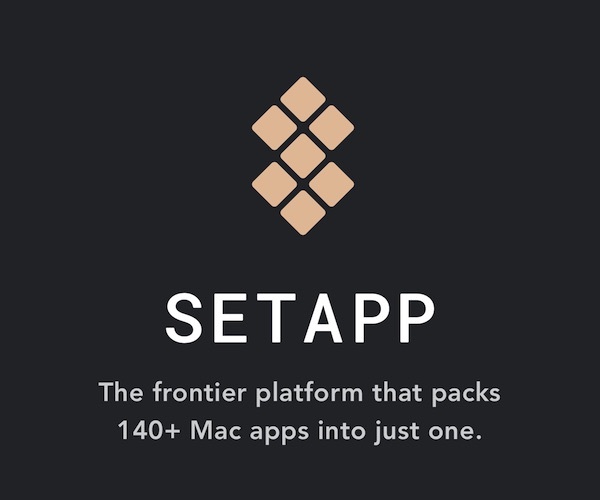 I’ve really fallen in love with the Dieci theme (and its corresponding black home screen icon) and, fortunately, it’s now coming to the Mac as well. Alongside Dieci is a new theme, codenamed Ayu. Ayu is an all-white theme with a splash of orange accent, making it somewhat of an offset against the true-black Dieci theme. Both Ayu and Dieci are available on iPhone, iPad, and the Mac in Bear 1.5. Export all the notes in a specific tag — perfect for keeping all your research together in one pre-defined tag. Exporting options now include EPUB — a range of other options were previously available (like .md, .txt, .docx, .rtf etc. ), but EPUBs will be a welcome addition for novel writers. New code language colors — support for code languages now hits nearly 30 languages, all of which are denoted by different colors. Notes can now float on top of all others on the Mac — this will be particularly handy for keeping a to-do list stashed in the right hand corner of the screen that never leaves when you’re working on a different note in Bear. Of course, there will be other under-the-hood improvements as well, rounding out the feature list in Bear 1.5. 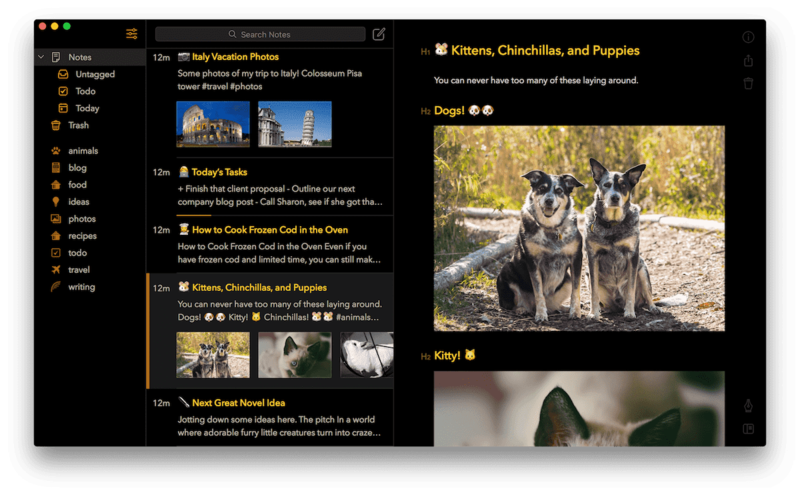 Although our review for the best note-taking app for iPhone and iPad doesn’t include the Mac, it’s quite likely Bear would take that crown as well. 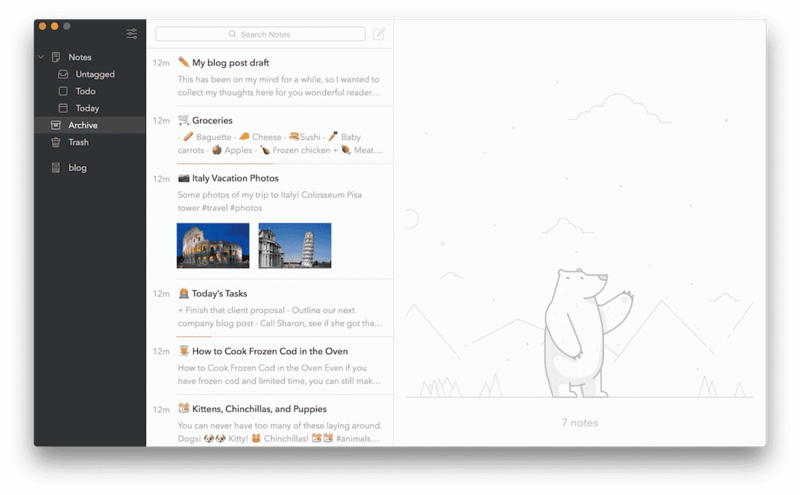 Bear’s incredible note sync, great URL scheme support, and support for drawings and the Apple Pencil make it the best cross-platform note-taking app for all your Apple devices. I keep everything in Bear these days and I’ve never been disappointed with the app’s feature set or its sync prowess. Bear 1.5 surely doesn’t change our opinion. Now that used notes don’t have to be deleted to leave your grand note list, Shiny Frog has shored up the note-taking workflow within the app. Dieci, Ayu, and custom TagCons are just icing on the cake in a fantastic update. 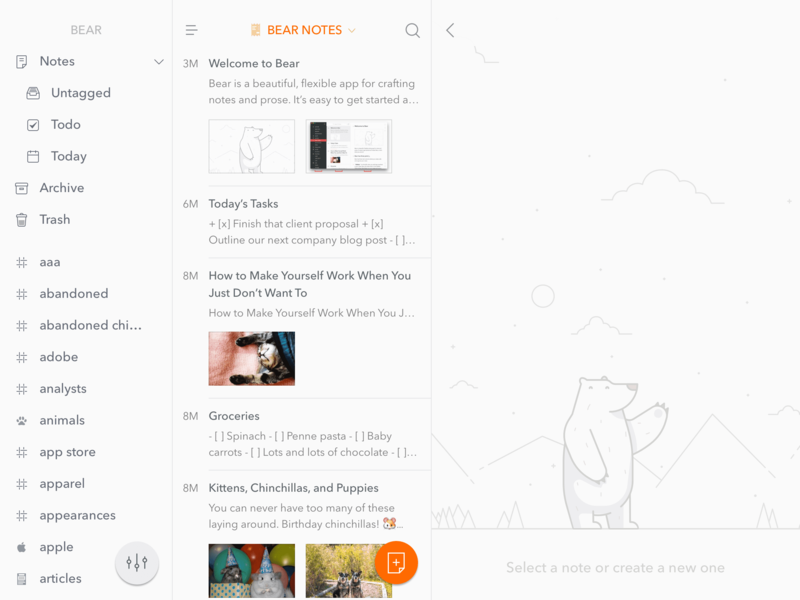 You can check out our review of Bear as the best note-taking app for iPhone and iPad, and you can download the new Bear 1.5 update for free on the iOS and Mac App Stores. 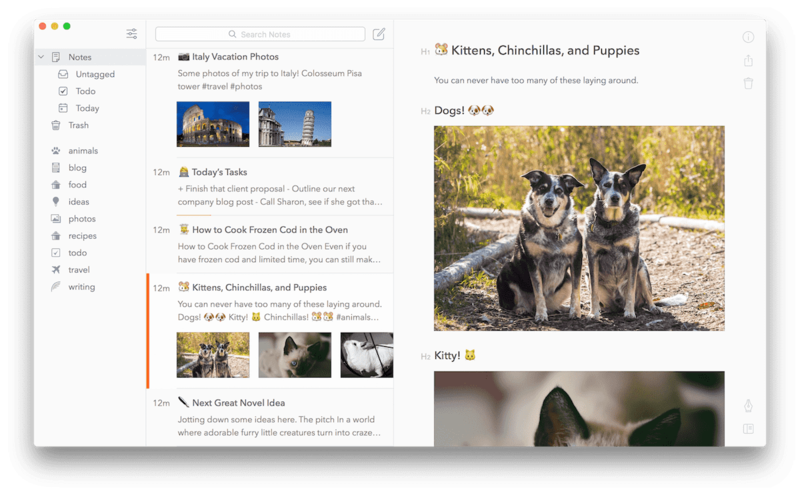 If you want to sync your notes and utilize all of Bear’s features and themes, a Bear Pro subscription may be in order as well.